The guys from Zus sent us one of these interesting little gadgets and we’ve been testing it for a while now. The dual function Zus started life as an IndieGoGo crowd funded project that reached an impressive 2500% of its goal. Zus is a USB charger for your car that sits in the cigarette / accessory socket and provides 2 x 4.8A outputs that can fully charge 2 iPad Airs in 3.75 hours. That can take up to 8 hours with other lesser USB chargers. The makers say it’s the only car charger to meet US Military MIL-STD-810G High Temperature Standard too, handling up to 100ºC. Zus has another trick up its sleeve. 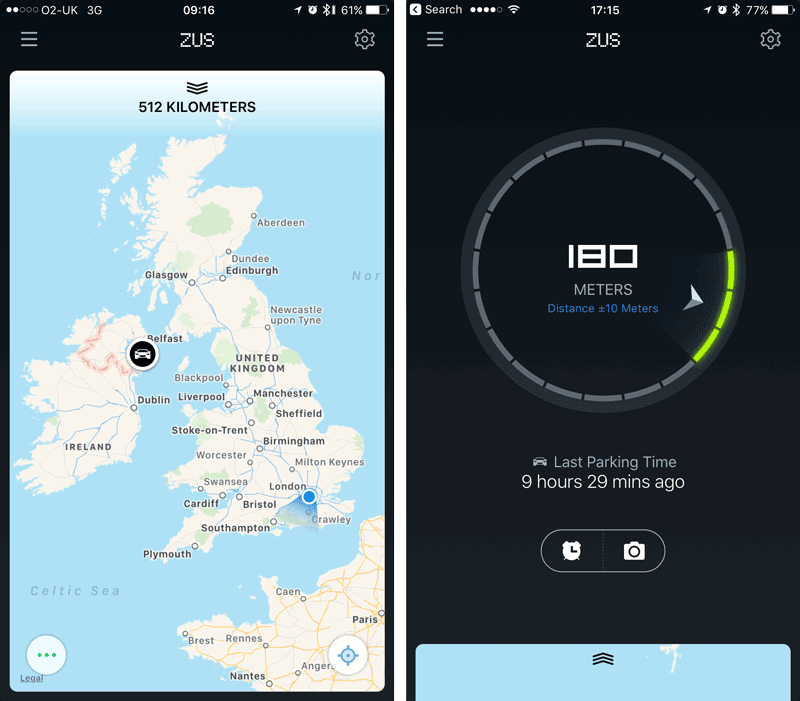 Whenever you turn off your car’s engine, ZUS will silently prompt its accompanying free smartphone app (iOS and Android) to save your car’s location. You can then use the ZUS app to locate your car as well as set an optional parking meter timer. The unit uses Bluetooth Low Energy and apart from the obvious inability to receive GPS signals in underground or covered car parks, we found it works well. Be the first to comment on "Useful Gadget of the Week: ZUS Smart USB Car Charger & Car Finder"